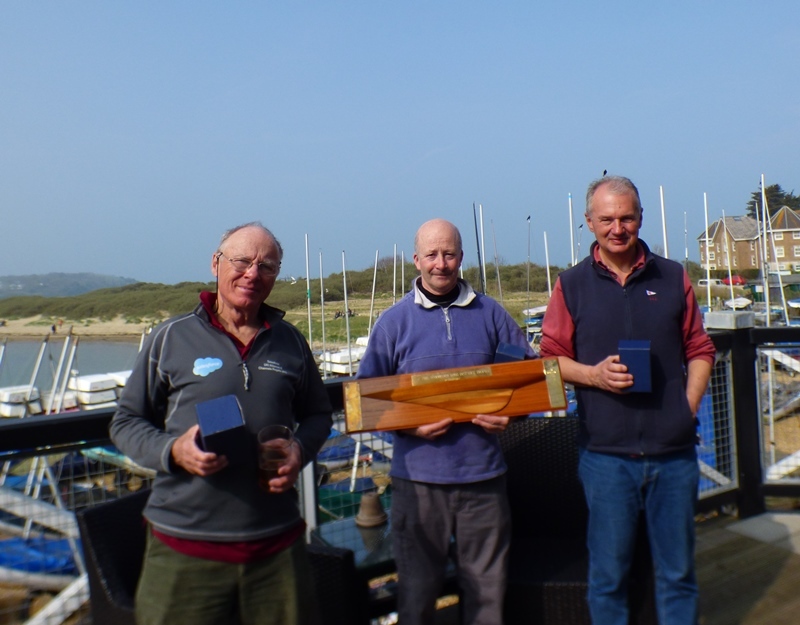 This weekend’s St George’s Day Trophy and the Woodford Long Distance race were rather earlier in April than normal, but with a very late Easter it was what it was! 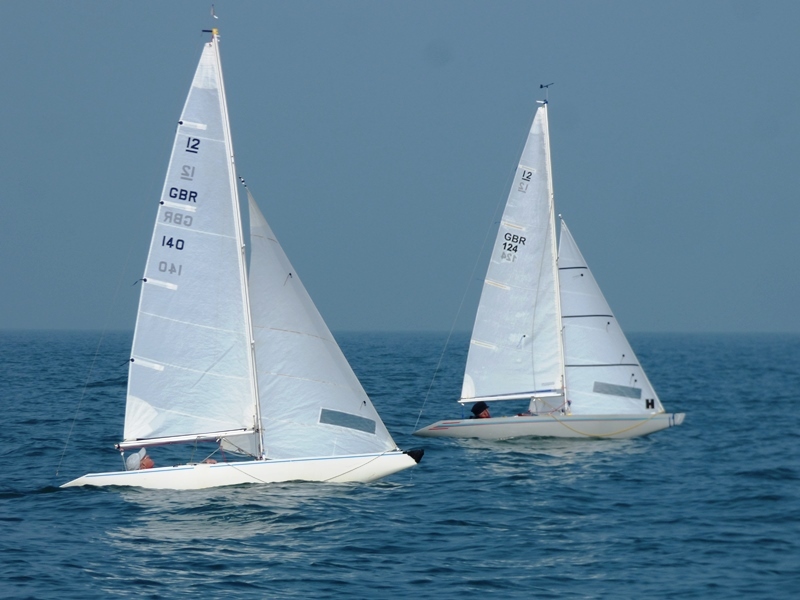 The format of the former is 4 races with no discard and the latter is decided on the day depending on the conditions. 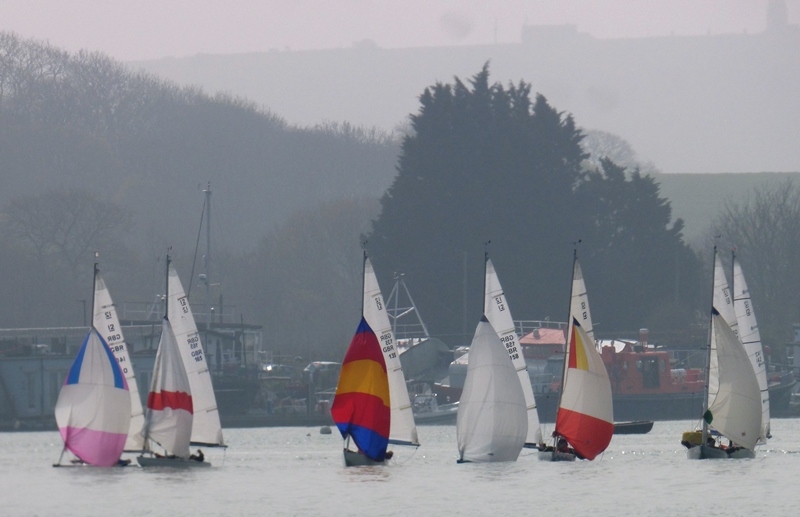 Fifteen boats, including some visitors from Hamble and Portsmouth organised by Olly Laughton-Scott & David Russell-Jones, raced in the harbour over Saturday lunchtime in sunny and relatively benign conditions. 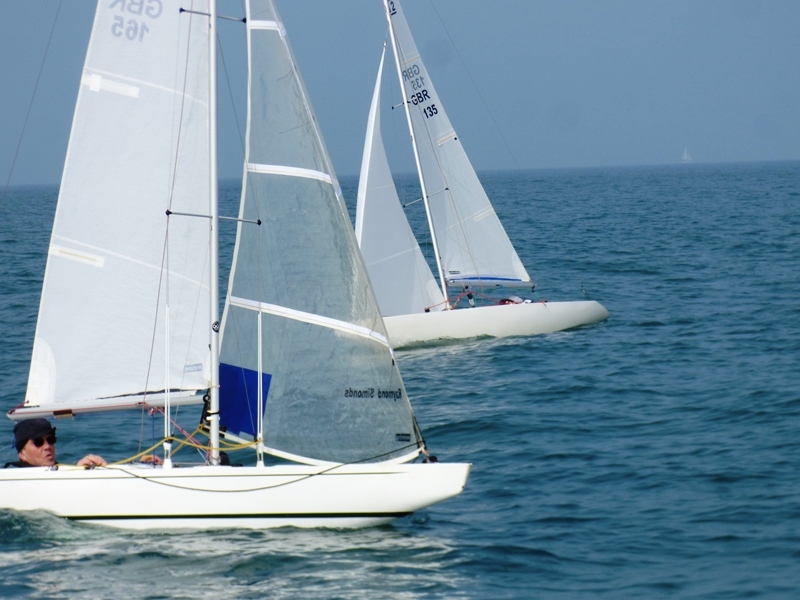 Initially there was a NEasterly F2 which veered to the East during the second race and then increased to F3 for the final two races. Although Mike Toogood was very nearly OCS at the pin end, the first race got away to a clean start. Most remained on starboard and headed across to the St Helens shore before tacking for the windward mark near the entrance of the harbour. First round was Colin Simonds with David Peerless and Raymond Simonds close behind. 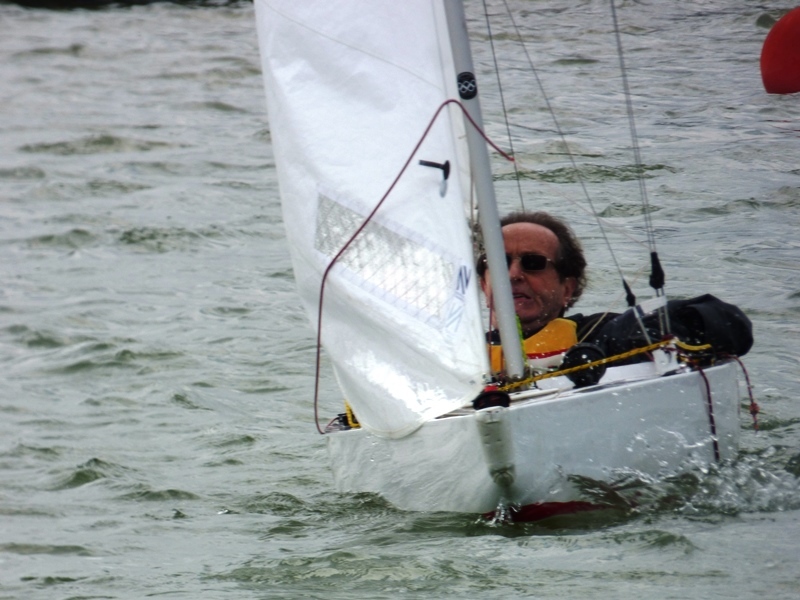 As the race progressed Colin extended his lead and Alastair Speare-Cole moved up into third behind Raymond. Jonathan Nainby-Luxmoore was fourth. Sixth, seventh & eighth (Hugh Doherty, David Peerless and Mike Toogood) all finished within inches of each other. 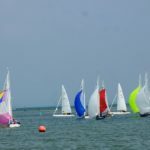 There were just too many boats OCS at the start of the second race for a fair race so they were brought back with a General Recall. The second start, under Flag U, went better although one of the visitors, Richard Ewart-Smith was forced over the line just before the ‘gun’ and although he sensibly continued to race, his finishing place did not count. Raymond led the way with Bill Daniels, Colin & Hugh leading the chasing fleet. 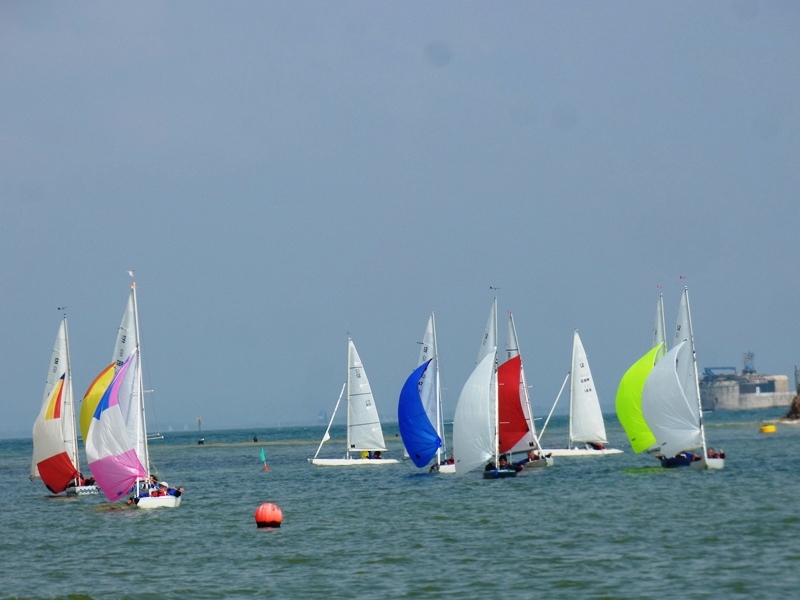 On the second run to the leeward gate the breeze veered to the East so the race was stopped after two rounds so that the course could be reconfigured. The Flag U preparatory flag claimed another scalp at the start of the third race; this time it was Alastair who was disqualified when he found himself being pushed over the line at the start. 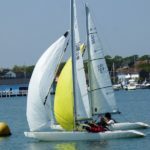 With the breeze increasing to about 12 knots, conditions could not have been better. Raymond took an early lead with David Russell-Jones, Colin and visitor Andy Tarboton in hot pursuit. However despite their best efforts they were unable to stop Raymond making it his second win of the day. Andy finished inches behind Colin so just missed out on a podium place – impressive stuff! After a quick bit of maths, it became clear that the final race of the day was going to be the deciding one for the trophy with brothers Colin & Raymond neck & neck. 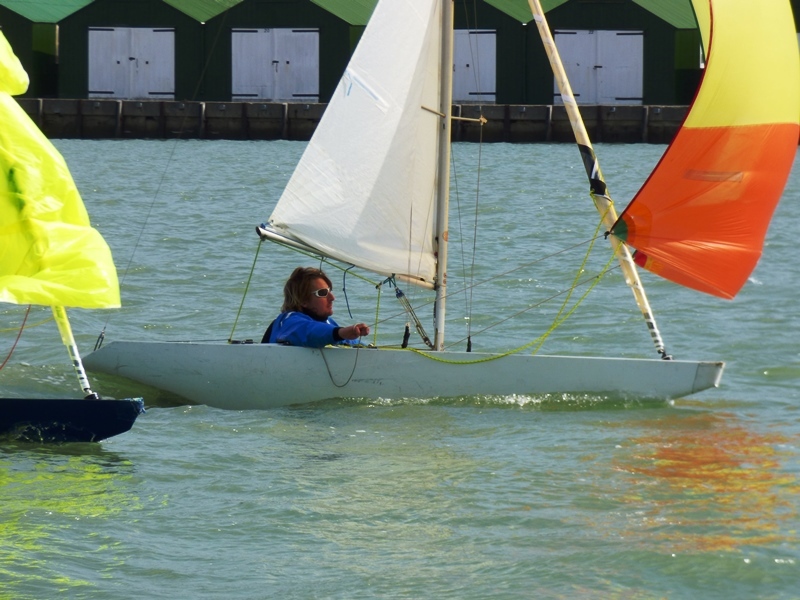 With the U Flag again as the preparatory, Colin risked all at the start and crossed the line at the pin end with no room for error. 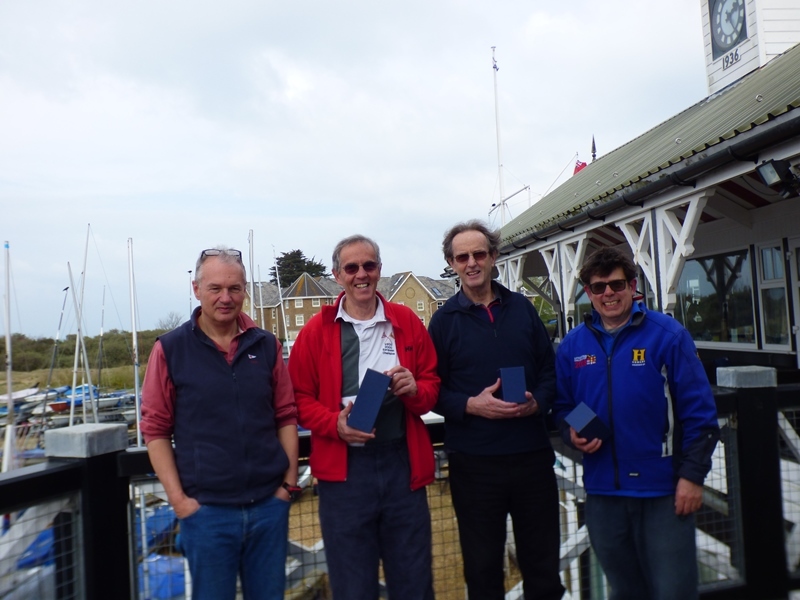 Racing over the 2½ round race was tight but Colin held his concentration and finished with a useful lead; David Russell-Jones just came in second just ahead of Raymond with Hugh and Bill so close that they were scored as a tied fourth. Raymond’s third place in the final race was good enough for him to win the trophy overall, one point ahead of Colin. Bill was third, one point ahead of Hugh. 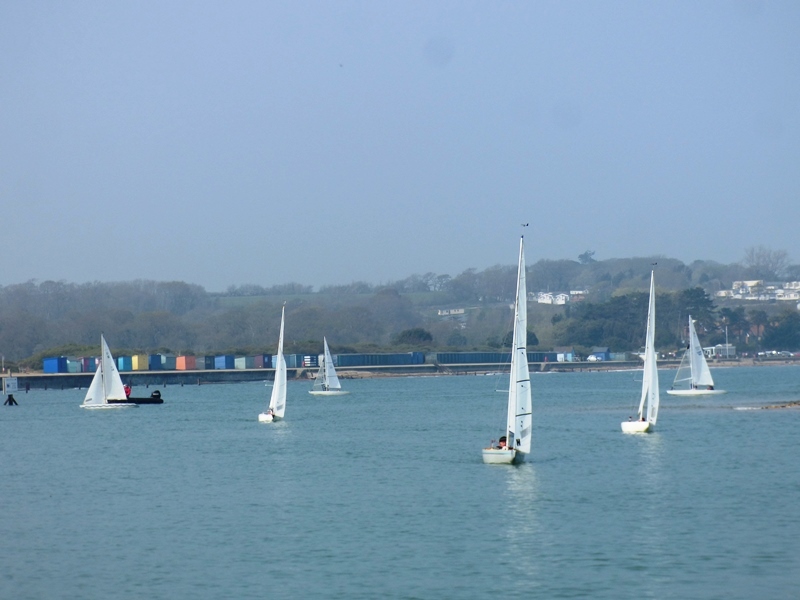 A reducing SEasterly 6 to 8 knot breeze was forecast for Sunday’s Woodford Long Distance race, so it was with some trepidation that the Race Officers decided to start in the harbour with a short beat in towards the Redwing Quay and then for the seven boat fleet to head offshore to round the Tide Gauge. With no fixed thoughts where to go after that the race certainly proved an interesting one with the front runners changing regularly. With the breeze holding, it was decided to lay a windward mark close to the Under Tyne Moorings; this offered a choice of routes and split tacks. Raymond Simonds quickly tacked onto port and headed back towards the harbour entrance while the majority of the remainder including Robin Ebsworth (who rounded the Tide Gauge first) headed out to sea in the gentle easterly swell on starboard tack. 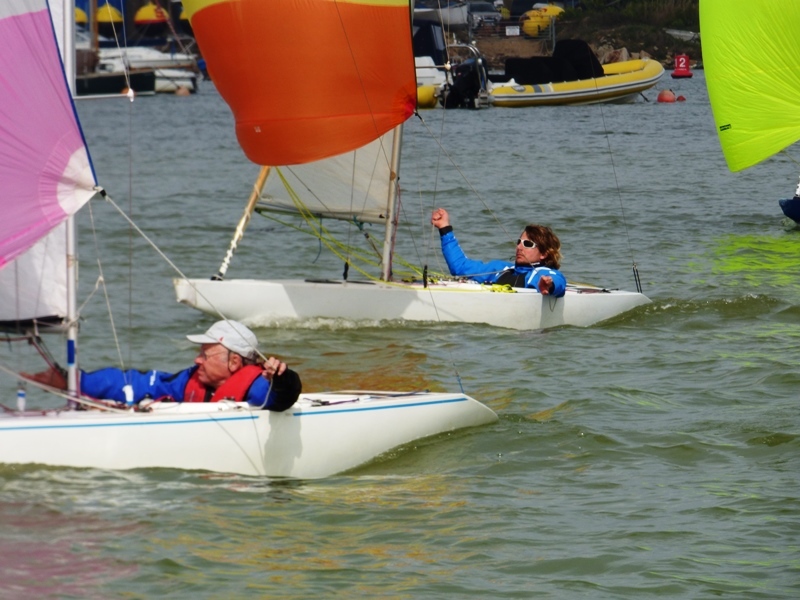 In the event Raymond reached the windward mark just ahead of David Peerless with Jonathan Nainby-Luxmoore and Mike Toogood close behind. 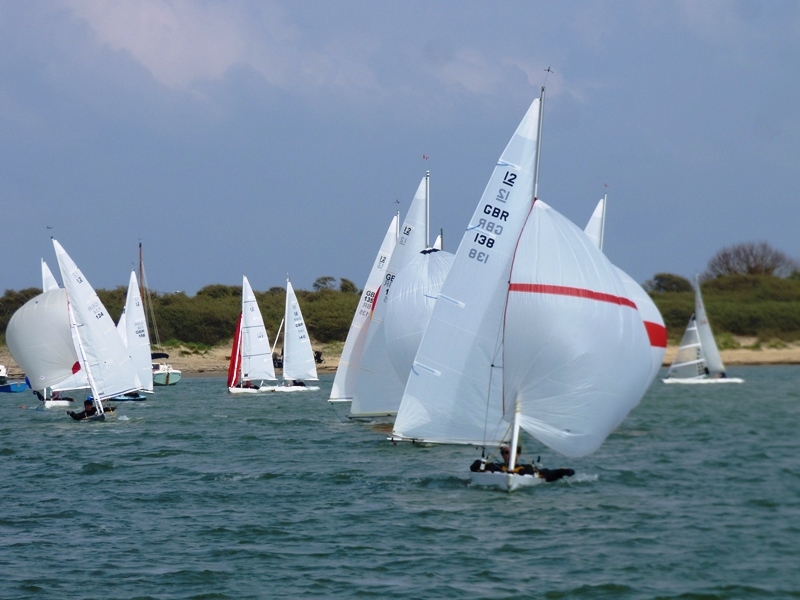 Keeping spinnakers filled on the broad reach back to the harbour was hard work and the boats who went inshore looked as if they were going to run out of wind, however by the time they reached the entrance to the harbour it was anyone’s guess who was going to end up winning. Raymond’s chances of victory went down the pan when he went too far inshore on the Bembridge side of the channel and went aground. 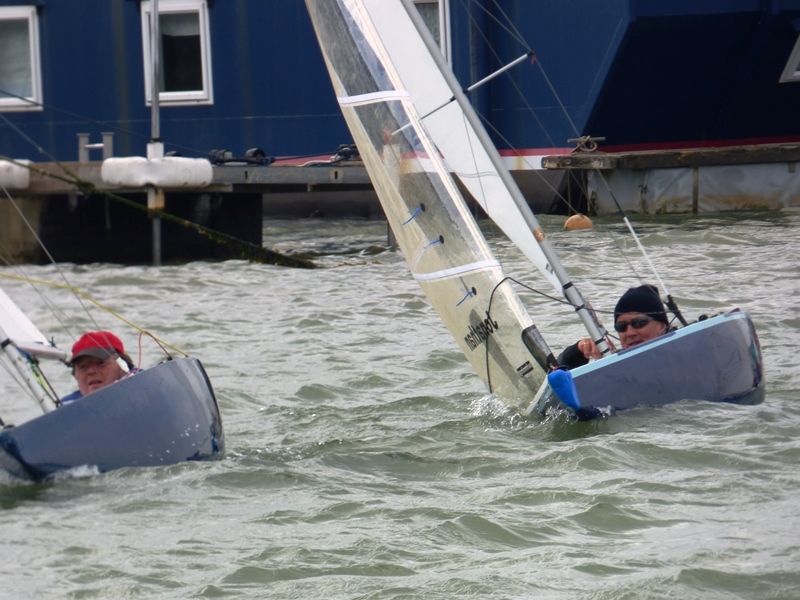 In the meantime, Hugh Doherty and Alastair Speare-Cole moved up to the front and although Hugh looked as though he would cross the line first, Alastair managed to squeeze through to finish inches ahead with David a couple of boat lengths behind. Close stuff after about an hour and a quarters race! 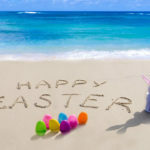 No racing next weekend; the last two days racing of the 2018 – 2019 season are on Easter Saturday & Sunday for Vernon’s Easter Egg Trophy.